Oh my heavens, have I got some cuteness for you! And it’s cuteness with a purpose which makes it even better. I’ve been taking part in the #LIGHTtheWORLD campaign this holiday season which is an effort created by mormon.org to spread kindness and love all around the world. It starts with a Worldwide Service Day on December 1, 2016. 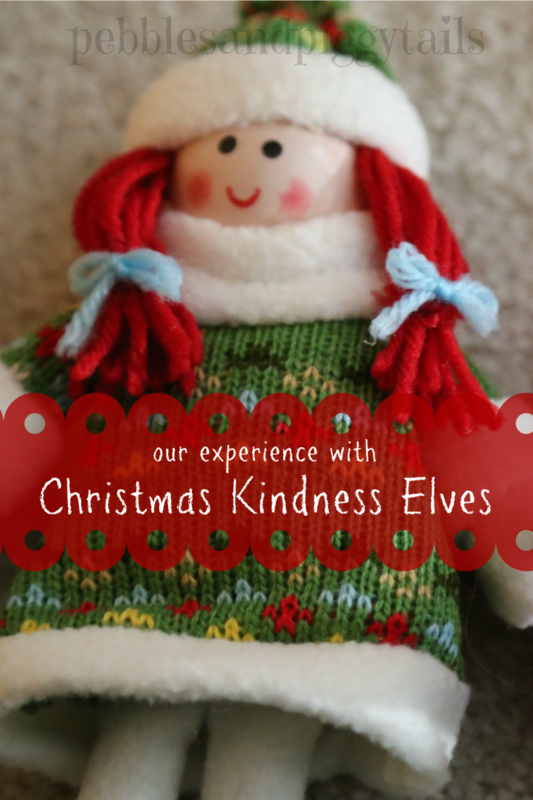 You may have read my recent article about what 10 little girls taught me about helping others, and since then I’ve been really trying to bring the light of good to my corner of the world. So I’ve teamed up with SugarDoodle and Polka Dot Poplars to bring you some free printables to aid in serving others. 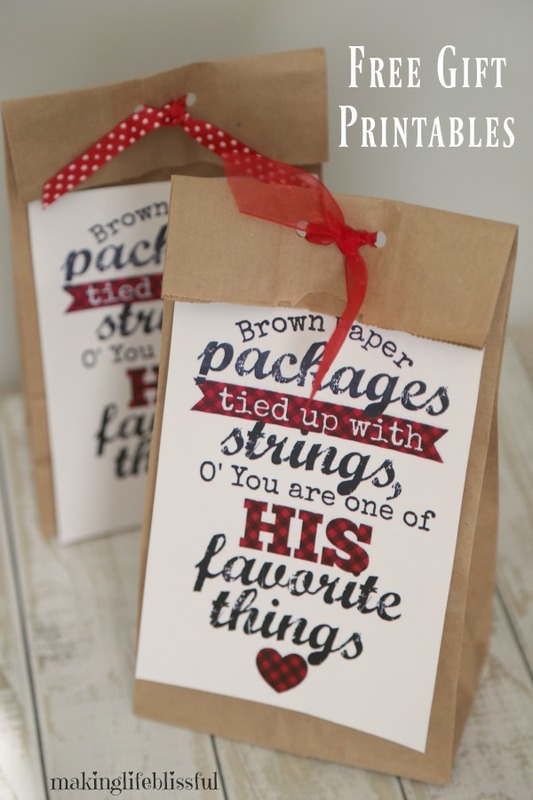 This “brown paper packages” printable will really help cheer up someone who is having a hard time. 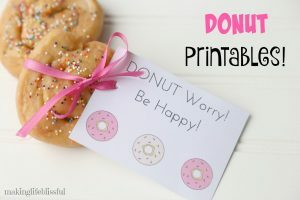 GET YOUR FREE PRINTABLES at the end of this post . . . 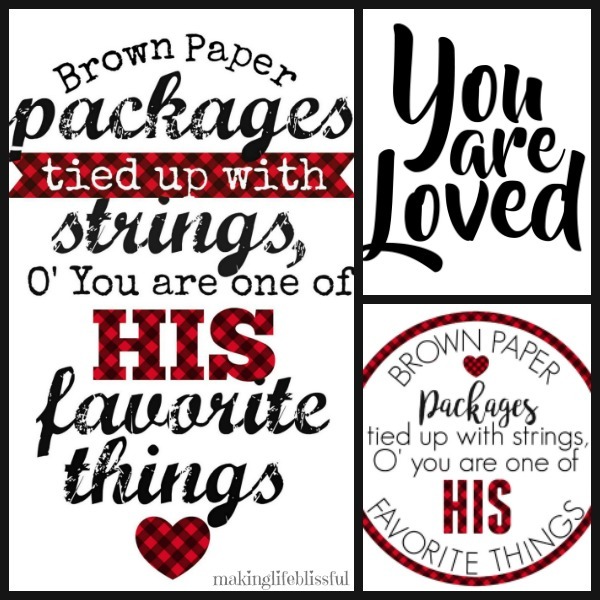 The ladies at Polka Dot Poplars have created a bunch of free printables for me to share with you. They centered their printables around a paper bag theme. 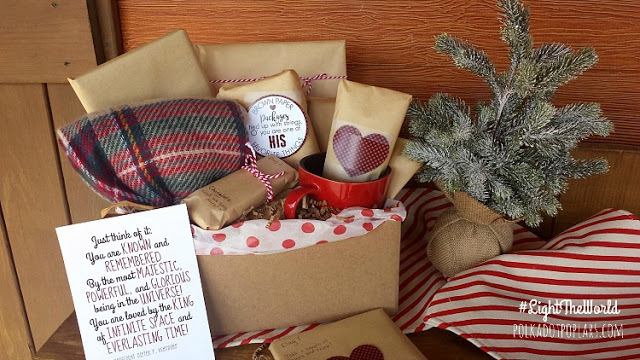 Gifts do not have to by flashy. 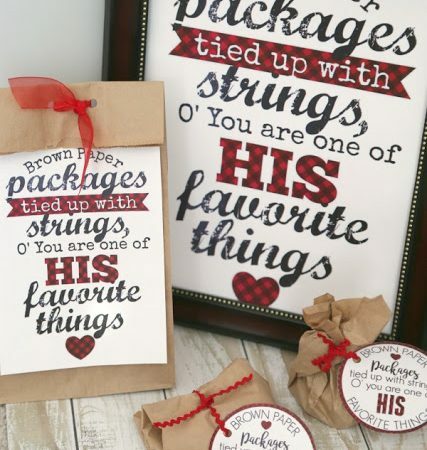 These brown paper packages represent the humble gifts the Savior Jesus Christ has given us. 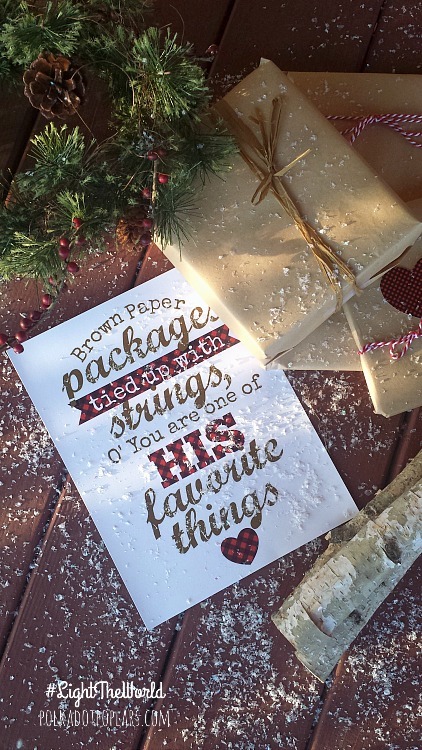 And it is reminiscent of the whimsical song from The Sound of Music called “My Favorite Things” which we now often hear at Christmastime. 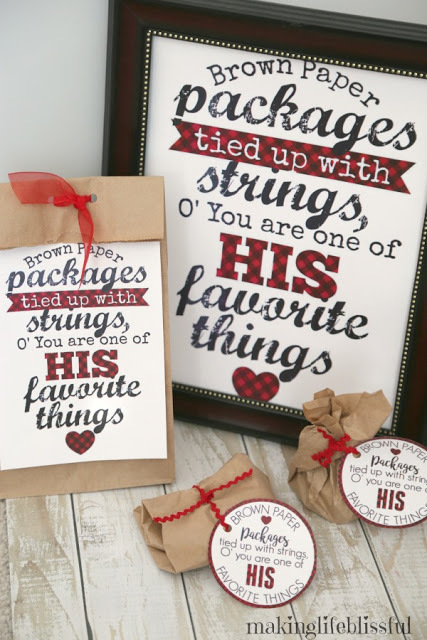 I love how they changed to words on the printable to say that “you are one of HIS favorite things” reminding us that God loves us more than anything. 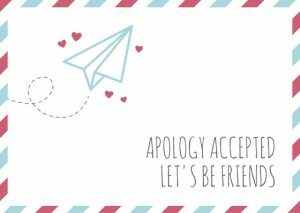 This is a wonderful way to cheer someone up and bring light to them. 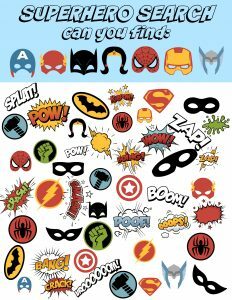 My family and I decided to use these printables to create little paper sack packages to leave on the doorsteps of neighbors and friends. We made bigger ones with just a regular lunch bag and filled it with treats. 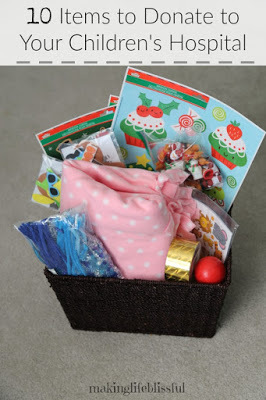 We put a mini nativity inside some of them and used the printable gift tags. 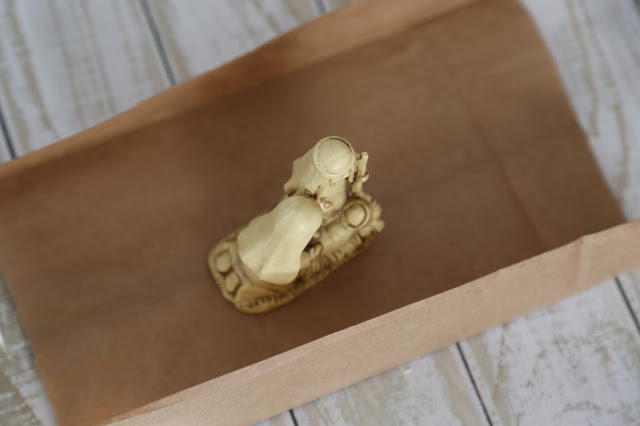 For these I just cut up a brown lunch bag into 2 pieces and wrapped each nativity like I would with wrapping paper–making sure to tie it with string for an added touch. I could wrap 2 nativities with one bag. 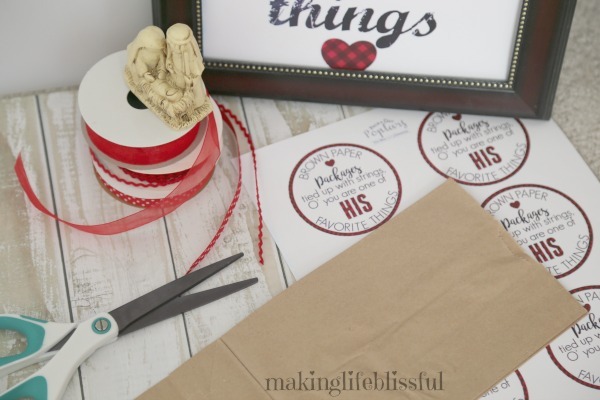 All these things I already had at my house making it an easy project. 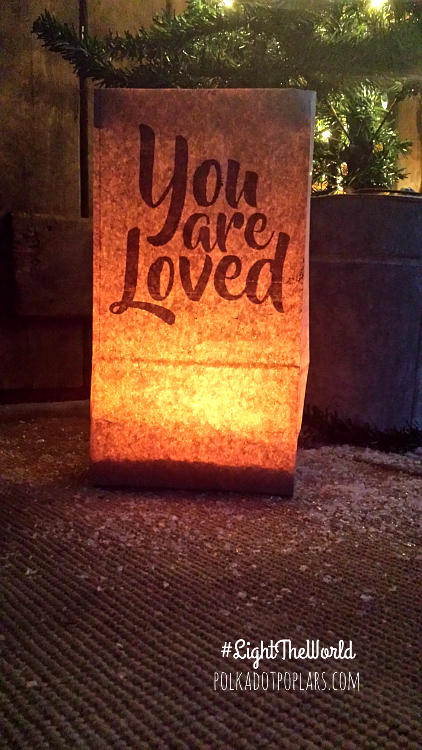 There are also printables to make these paper bag luminaries! I hope these printables and ideas help you and your family find a way to light the world with kindness. Try to do something nice for someone else as part of Worldwide Service Day on Dec. 1st. Be sure to spread the word on social media and use the hashtag #LIGHTtheWORLD to inspire others to give kindness. Won’t it be wonderful to have people all over the world helping each other? Get 30 of the BEST recipes around for only $3.99! Includes savory, sweets, and salads.